“What do YOU write ?” the woman asked me as she slid her glasses into position and peered at my chest, squinting to make out the name on my plasticized badge. 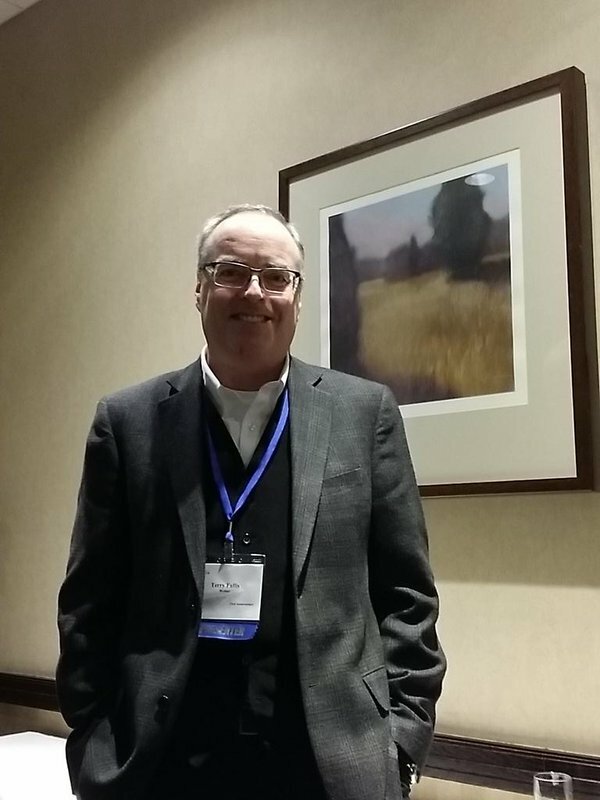 It was my first time attending the Surrey International Writers’ Conference and that question, “what do you write?” seemed to be the standardized greeting used by the hundreds of attendees. I wish there had been a memo beforehand. I will admit that the first day of the conference I mentally stumbled every time I was asked that question. What DID I write? Was it: Creative non-fiction? Personal essays? Opinion pieces? Memoiresque non-fiction with a light (okay….sometimes heavy handed) sprinkle of glittering embellishment? Basically…. I polish a turd called life. Can I say that to people? Is there a spot for polished turds on a Chapters.Indigo bookshelf? Day two of the conference, after experiencing the food riddle known as Ambrosia Salad during an unusual lunch hour, I wanted to respond to the “what did I write?” question with: “My writing style is a juxtaposition of sweet and savoury, much like an Ambrosia Salad. Some days I can position it near the leafy greens in the genre buffet, but other days it belongs near the jello”. By day three of the conference I wanted to answer that damn question with, “I write paranormal erotica set in a dystopian post-apocalyptic Cormac McCarthy-inspired world”. That answer probably would not have raised an eyebrow. 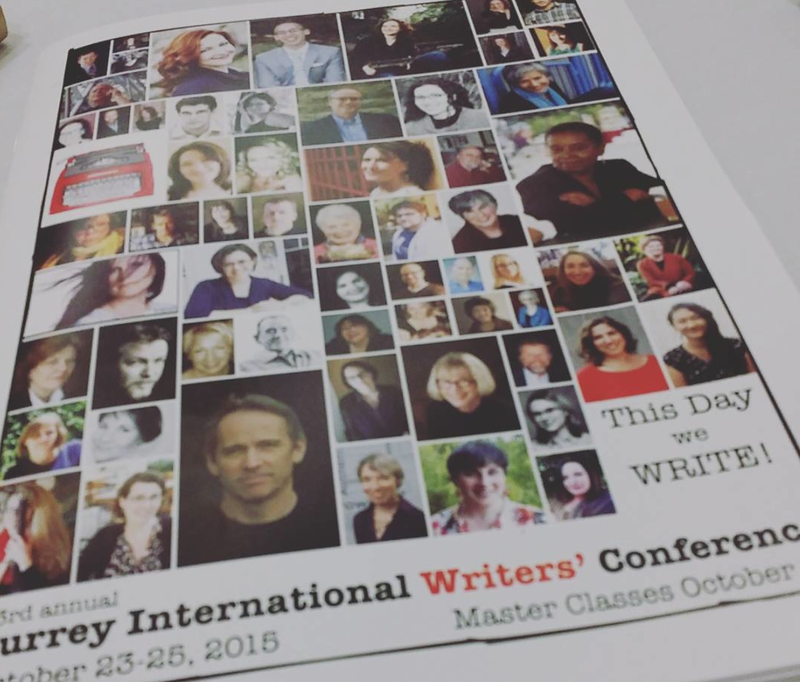 I was in awe of the pure number of writers, agents and publishers gathered at the conference. Most were women, but there were a few men in attendance: Jack Whyte, Jasper Fforde, Terry Fallis to name(drop) a few. You know how people say, “You can’t judge a book by its cover?”, well….. you can’t judge a writer by their appearance either. I discovered that advanced age does not dim imagination nor can we assume that a 16 year old does not have the capacity to create complex characters and plot lines. I ascertained that many writers are introverts whereas I am in an extrovert (Surprise!!!). I also found out that even very successful writers are plagued with self-doubt and lack of confidence. So what does this mean? Why did I go? I went to Surrey to discover where I fit in and IF I fit into that world. I am walking away with a feeling of kinship and solidarity. The conference was warm, welcoming and authentic in the support of all writers, regardless of genre and amount of experience. Will I return? I believe that I will return next year. The workshops were worthwhile, the fellowship was appreciated and the connections made me feel empowered. Maybe…just maybe I AM a writer after all.